Neh. 4:7, 8 When Sanballat, Tobiah, the Arabs, the Ammonites and the men of Ashdod heard that the repairs to Jerusalem’s walls had gone ahead and that the gaps were being closed, they were very angry. They all plotted together to come and fight against Jerusalem and stir up trouble against it. The account of Nehemiah rebuilding the walls of Jerusalem reveals many Kingdom principles for today’s leaders. Nehemiah faced spiritual opposition from neighboring pagan groups who were against God’s plan of restoration. These groups were in spiritual agreement with demonic forces empowered by their idolatrous worship of false gods. Today’s leaders will face opposition to bringing God’s plan for individuals, churches and ministries to fulfillment. We do not fight against flesh and blood, but we do fight. We must resist evil and continue with the work of God’s plan. One key principle for succeeding with God’s plan is found in how Nehemiah responded to opposition. Each time Sanballat and allies devised a plan to undermine Nehemiah’s work; Nehemiah had a consistent and firm response. A key reason for success in repairing the walls was Nehemiah’s response to opposition. 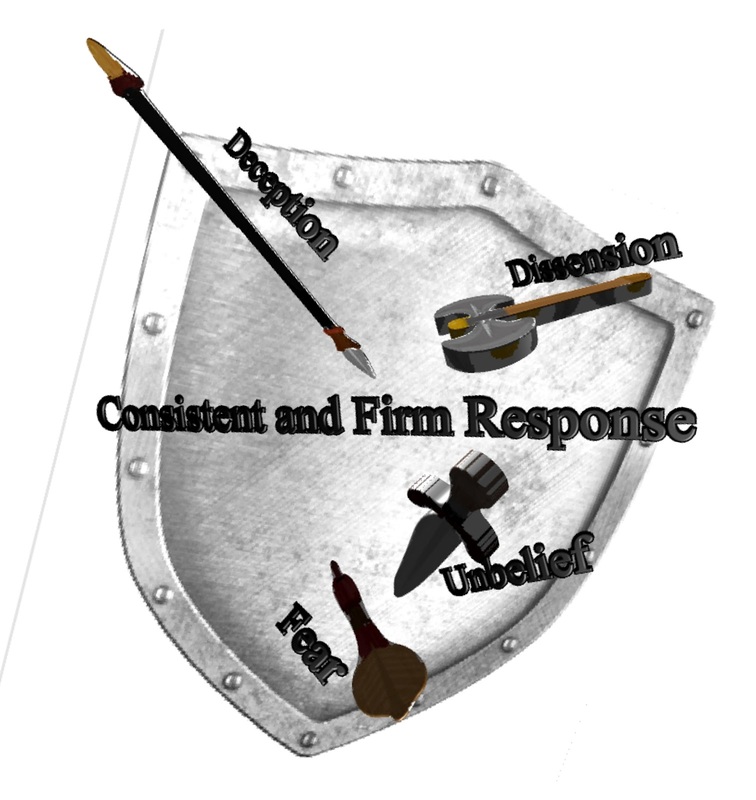 No matter the form of opposition, the tactics of the enemy, or the subtlety of manipulation he chose a consistent and firm response. He refused to withdraw. He refused to be manipulated by strategies of the enemy, even when they came from within!